You usually know who you’re supposed to cheer for in a book. Miss Bingley is not the heroine of Pride and Prejudice. Inspector Javert is clearly in the wrong, clinging to an unworkable view of good and evil, in Les Miserables. Gollum is twisted and pathetic, and his better side does not win out in the end. But sometimes, we know we’re not Elizabeth Bennett. Our darker side is sometimes stronger, and we don’t really appear like a heroine to others. And the thought occurs to me that though I don’t like the antagonist, though I know I’m not supposed to be like them – all too often, I am. Take Miss Bingley. She uses all sorts of manipulative feminine wiles – putting down other females, putting herself in the best light, flattering males she is interested in – which are clearly condemned by both Jane Austen and Elizabeth Bennett. But what female has not been tempting to use stupid tactics like this when faced with other female competition? I’ve certainly let a snarky comment or two escape my lips – and immediately known it was a very Miss-Bingley-ish thing to say. Because the reality is that being Elizabeth, being the character that attracts the interest of very desirable young men despite doing nothing to invite such interest, and despising the young men in question, is very rare. Most men are not brave enough to show interest without encouragement, and so women compete to show interest – often in sad and petty ways. And when you’re not the character of Elizabeth yourself, you often feel tempted to resent the characters that are. Ugh, I always do wonder what happened to Miss Bingley after the events of Pride and Prejudice, as her characters sort of slides out of the story towards the end. She was driven by circumstances that fortunately we females today don’t have to experience – all of her womanly identity at the time depending on her making a good match. If she didn’t, she was nothing, and possibly poor as well, as she couldn’t work for a living. Would any of us really be more well behaved than she? Which of us, upon discovering a guy we have a strong interest in and whom we thought may return the interest in time, actually be at peace when he suddenly showed signs of interest in some random female he has just met? Miss Bingley showed her resentfulness strongly, and did not look better for doing so. But she really had no way of winning in that situation. Inspector Javert – I’m treading on shaky ground here, because I have no actually read the gigantic tome known as Les Misérables, but only seen the movie. But from what I know of the character, he has a very black-and-white version of right and wrong. Which I do as well, unfortunately. This, I heartily agree, may not be a failing of many of the readers of this blog, but it is something I struggle with. In theory, I can see the arguments for both sides of morally gray areas (for example, I once wrote a nursing paper on the benefits of safe injection sites, though I know many people who oppose it), and think I feel comfortable reserving judgement on such things. But then, when faced with making a choice in reality – when actually having to take actions that indicate I am comfortable with leaving things in morally gray areas – I struggle. I feel like my soul is torn. Sometimes I snap, and make harsh judgements. Would I, if I had been an inspector at the time the numerous revolutions in France, have acted far more like Javert than Jean Valjean? Maybe I would have, and the thought scares me. If the world was easily divided into black and white, this would be a valid way to think. But it’s not. All too often I am like Gollum, pulled by the same old struggles, and making no progress in improving myself. And I know, on my own, I will not get much better, and likely will just become more selfish, judgemental, and resentful. (But maybe, just maybe, there is more to my story than this… grace and mercy do exist, after all). I’m not the person I want to be. Literature holds up a mirror to both the best parts of myself, the best parts of what I could be – and also sometimes the worst parts. Sometimes it is important to face up to your worse parts, and admit that they exist. 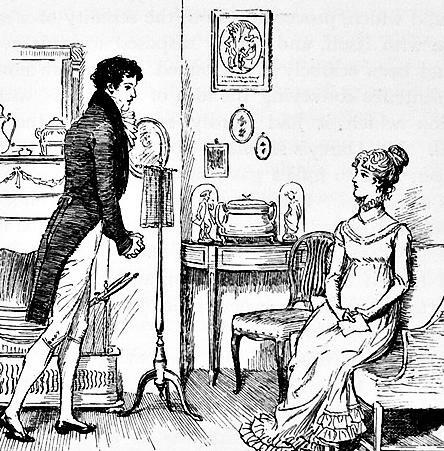 That Jane Austen might not have liked you if she’d met you. That you, too, might’ve claimed the ring as your own. The power of literature is just this. * Tolkien talks more about how he worked out this idea in Letter 246, if you’re interested. Some of you may be of the opinion by now that I hate Wuthering Heights, Romeo and Juliet and other assorted romances that don’t fit into my standards of “healthy romances.” I assure you I do not. As some of the comments pointed out, classics become known as classics because they relate to something in human experience. Of course they bring up some interesting aspects about human experiences, even though I may not love them as whole-heartedly as I do some other. That said, I can appreciate classic novels and criticize certain points about them at the same time. All the same, I don’t think I’ve applied a “scathing critique” to any of the novels I mentioned. It might’ve been fun if I had. After all, scathing critiques are more fun to read. I discovered this exciting fact after going to see Lord of the Rings: Return of the King. I wanted to see what other people thoughts about it, so I went online and started reading people’s reviews. After reading a dozen or so going on about it being “visually stunning” and “breathtaking in scope,” all of which I agreed with, I thought it’d be interested to find out why anyone would HATE it. And so I searched one star reviews. And was occupied for hours reading about how the movie “completely destroyed Tolkien’s vision,” “left out key parts of the novel,” or “turned Gimli into a bumbling buffoon.” All good reviews were alike, but all bad reviews found a way to lambaste, critique, or otherwise rip to shreds movie in their own way. Not that I agreed with any of this. Well, I agreed with some of it – I just liked the movie in spite of its faults, instead of hating the movie as a result of them (for example, I still can’t understand how Arwen’s character contributes to the movie at all…) But I rediscovered it’s boring to have everyone agree with you all the time. And that people are very inventive when describing something they hate. Oooooooo, so much to outraged at! So much to object to! Yet at the same time… I don’t always have patience for Tolkien’s poetry either (hands up, all of you who skipped ‘Song of Eärendil’ on your first read-through). Not enough fun for you? Try, “Writers like Tolkien take you to the edge of the Abyss and point out the excellent tea-garden at the bottom, showing you the steps carved into the cliff and reminding you to be a bit careful because the hand-rails are a trifle shaky as you go down; they haven’t got the approval yet to put a new one in.” (Michael Moorcock in ‘Epic Pooh’). I don’t think that describes Tolkien at all, but you have to admit, it’s a brilliantly amusing metaphor. So, I guess what I’m trying to say in this post is that even when I love a book, I also love to hear why people hated it. I don’t even have to have a chance to defend to book (except maybe to myself in my own head, and to a few long-suffering members of my family) to enjoy it. I know not everyone is like that (see certain Twi-hards), but for me it is all part of the fun. To all my faithful readers out there – have you ever done this with books or movies you like, or is it just me? 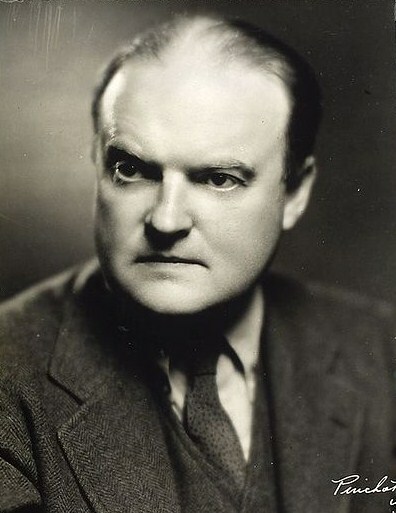 Tagged as Edmund Wilson, Epic Pooh, Lord of the Rings, Oo, scathing critiques, Those Awful Orcs! Lately I’ve had people ask how I get inspiration when writing, and one big part of it is – reading other books! Good books show what works, what techniques are out there, and what tropes exist (obviously not for the purpose of blatant copying, that would be pointless). Bad books show what fails horribly, and gives me hope that I can at least do better than that. Since one of the genres I dabble in is fantasy, I thought I’d examine some of the ones I’ve read here. – The Sword of Shannara: This was a lot like Lord of the Rings, except lacking something (Tolkien’s genius?). I did like some of Terry Brooks’ (the author’s) later books a bit better – The Scions of Shannara and Antrax. – The Belgariad: I got a little annoyed at how the plot just made the characters run from country to country mostly just for the sake of describing strange new places. I did enjoy Belgarath the Sorceror though, since it was pretty much a condensed version of the original story. I tried the Sparhawk trilogy by the same author, but it bored me and I never finished. – The Wheel of Time: This is a very well-known and popular series by Robert Jordan – but maybe a little too long and detailed (I know, I know, the details are why people like it). I think I reached the fifth or sixth book before giving up, and I was a little tired of the frequent mentions of naked women (???). I found more children’s fantasy books that I enjoyed, actually. – Diana Wynne Jones: This is an author who’s written a wide variety of books all in the fantasy vein. She’s just got absolutely unique plots. She also mocks some of the clichés of the fantasy world, with books such as Dark Lord of Derkholm and The Tough Guide to Fantasyland. I really loved: Hexwood (somewhat dark), Howl’s Moving Castle and Archer’s Goon (absolutely unique). – Artemis Fowl: A very unique hero (or anti-hero, I guess), who steals fairy technology and has to defend himself (a highly original plot). I loved the first two books, and found the series petered out from there, though they are still entertaining. I have to mention the Chronicles of Narnia here, since they were the first fantasies I ever read and are responsible for sparking my interest in the first place. Puddlegum, in The Silver Chair, is great.